Hangover Survival Kit Bag. 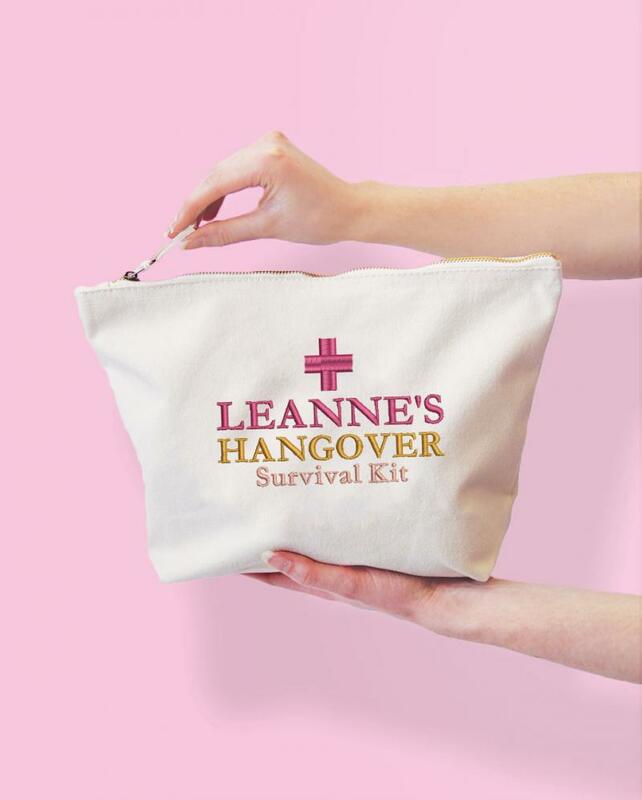 Ready to be filled with all the essential 'Just incase' items you or a friend would need to get through a hangover! - 'Hair of the dog' if you're feeling up for it! - the text colours can be edited if you wish, please leave us a little note in the 'notes to seller' box if you wish to change them!